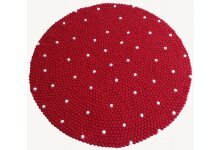 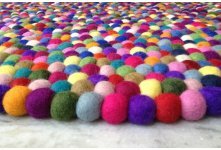 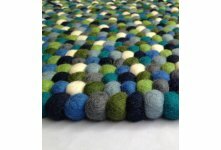 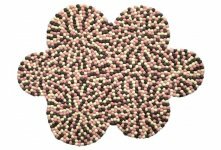 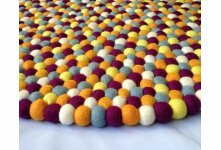 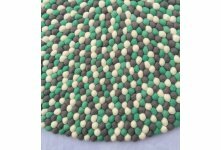 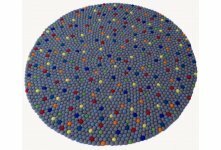 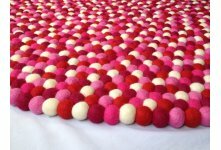 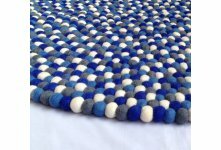 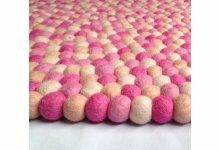 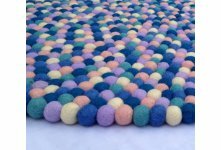 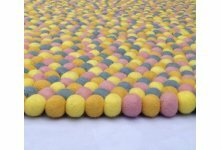 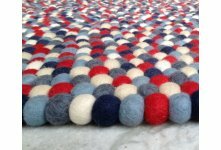 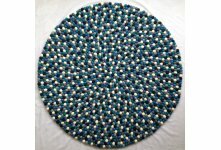 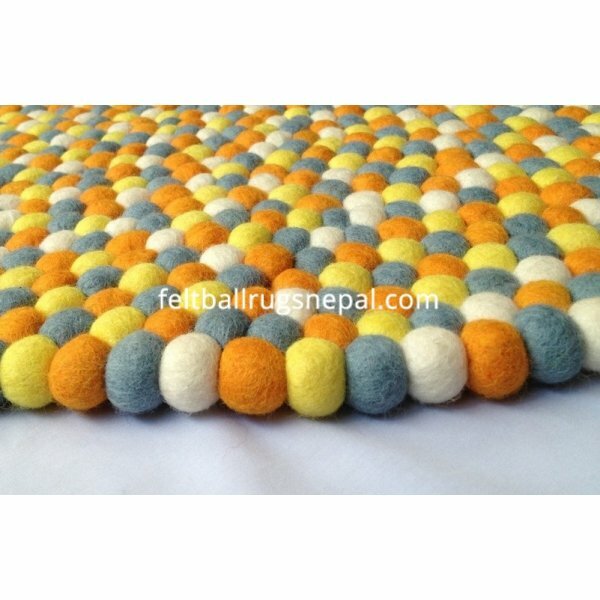 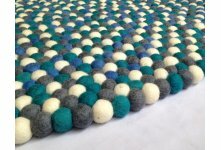 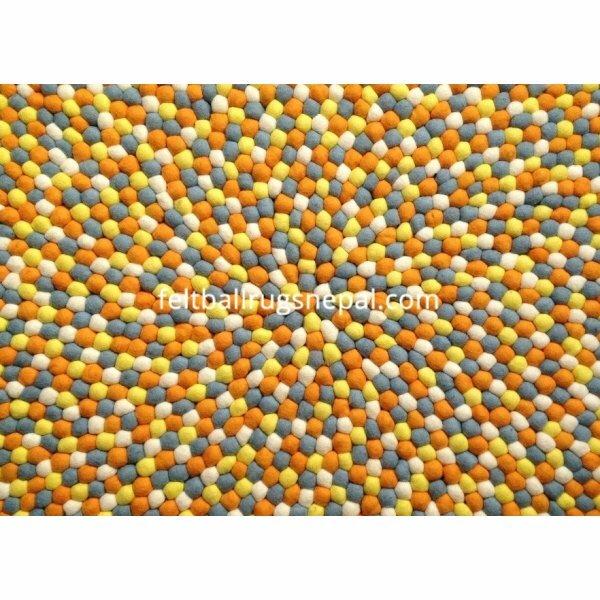 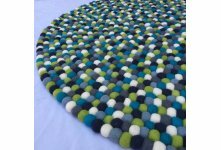 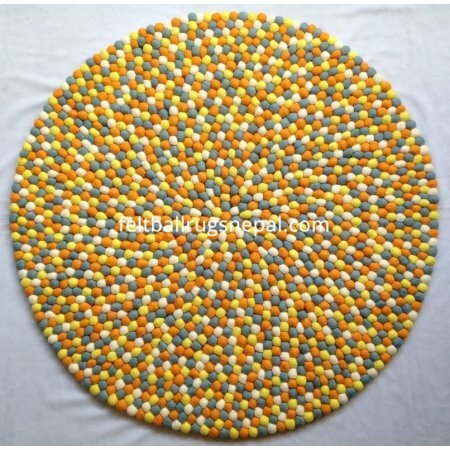 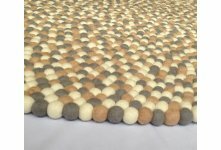 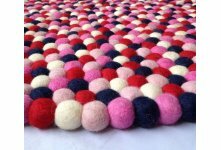 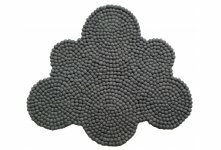 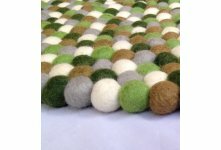 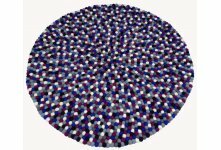 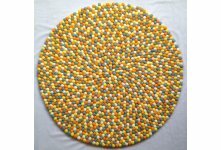 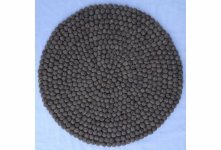 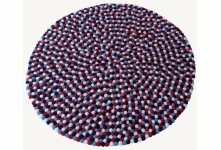 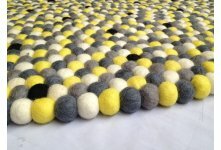 This mesmerising four-colored combination round felt ball rug, handmade in Nepal, uses 2 cm felt balls. 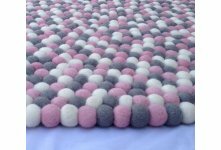 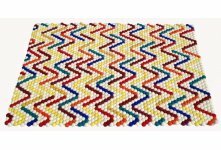 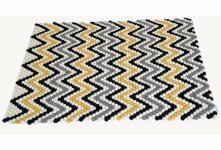 We are using 100% sheep wool which is imported from New Zealand and is stitched through strong double-twisted nylon thread. 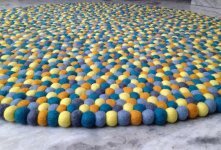 Above shown rug is of 90 cm size. 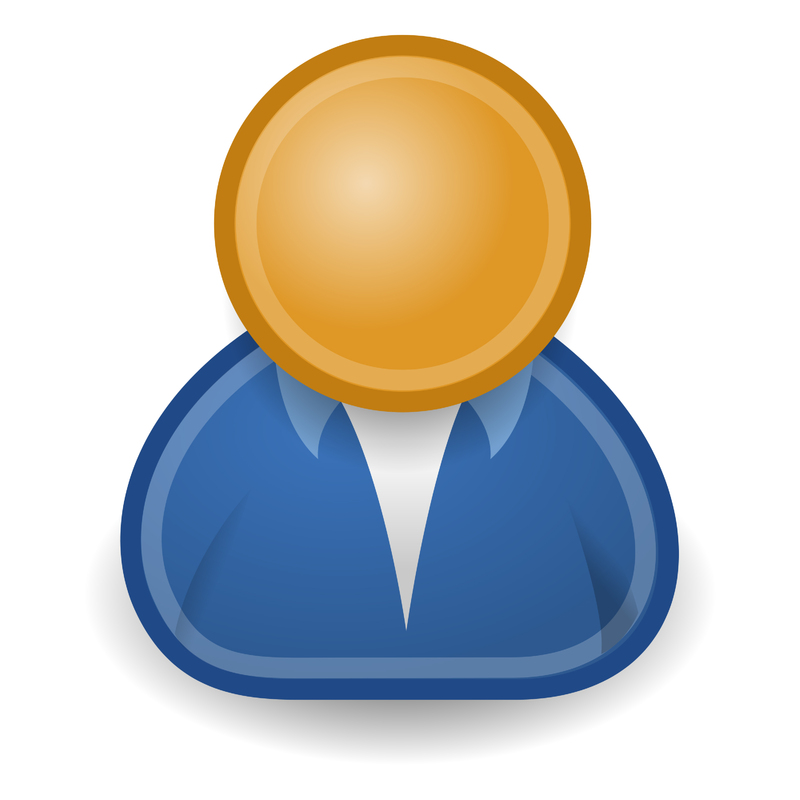 But you can also customize size,design and color as your wish.